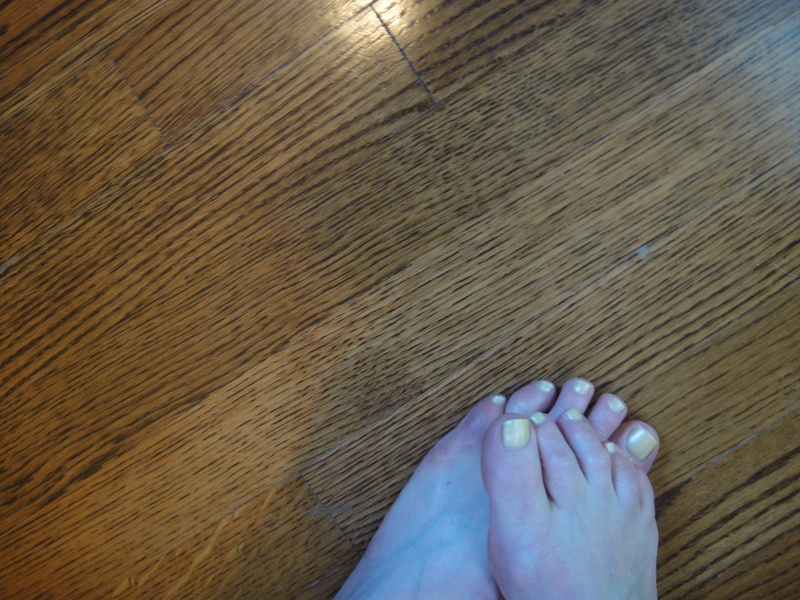 I painted my toenails orange for June, green for July. They’re sporting yellow polish at the moment. I broke three of my toes growing up–one when I put my bare feet down to stop a swing. My second toes are longer than my big toes, although not by much. Apparently this has a name–Morton’s toe. I’ve heard it’s a sign of intelligence. Eyes and hair are overrated. I’m going to write about toes. Posted in details	| Tagged Whose Toes Are Those? Toes, eh. That’s so funny. I wrote a story once called Grandpa’s Feet. I don’t even know what happened to it, I wrote it so long ago. The story was inspired by taking my boys (they were 4 and 5 at the time) to visit their grandpa (my father-in-law) in the hospital. He was a retired physician and always wore a suit. So to see him in a hospital gown was a shock. But it was the sight of his thick, yellowed toenails that terrified them both. It never occurred to me to prepare my pre-schoolers for the sight of grandpa’s feet. My brother always told me my long toe next to the big one meant I was intelligent. I wanted to believe him but he also told me the polio scar (I think it’s polio, the dime-sized scar on your upper arm. Small pox, maybe.) was a poor man’s mark. Those with the mark would be rounded up and executed. Toes are a fine subject. I wrote a poem about shoulders earlier this week, I think they are often forgotten as well. Female toes are beautiful, Everyone should always take care of them. The yellow is very pretty. Thanks for visiting Catching Days, Kris. And for leaving a comment. I hope you’ll be back.